I love teaching and helping others learn! Once friends found out that I am a quilter, they started coming to me for help and advice on their projects. Several encouraged me to write my own quilting books ... I finally took their advice. 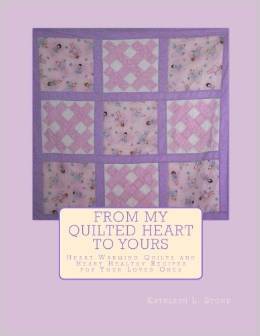 Whether you are an experienced quilter or just a beginner, you will love this book. The quilts and blocks in this book are the same ones featured in the author’s children’s book, “Grandma’s Quilts … Fun with Fractions.” Did you know that the Rail Fence block can help your favorite children learn about thirds while the Pinwheel block can help them see halves? Use the featured blocks to help strengthen their math skills and then have fun putting them together into quilts that they can keep or share with others. However you choose to use them, you are sure to have fun.